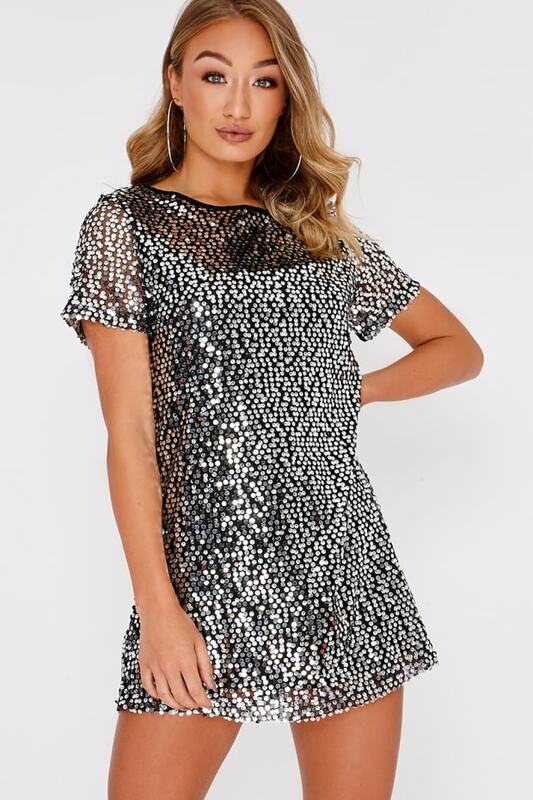 Sequins are a girls best friend, and this black sequin t-shirt dress is ready to add some sparkle and shine to your wardrobe! 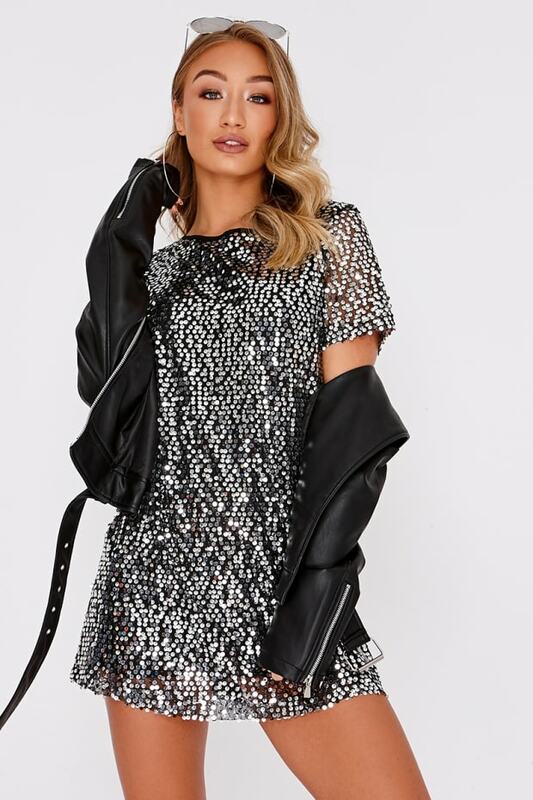 Perfect for your new season wardrobe, wear with killer heels and statement earrings for a sass party look. We recommend purchasing the next size up in this dress.